As you sit in a meeting with your boss—maybe they’re the CEO or the SVP of Marketing—they go on and on about quarterly goals. They’re ideas are as varied as they are expensive: a new social media ad campaign, a print ad campaign, a billboard. As they rattle off these ideas you break into a cold sweat because you know they’re all terrible ones. These ideas are going to blow your marketing budget, won’t budge your numbers beyond where they are right now—and worse, the angle will fail to make an impact on people who could greatly benefit from your message. And you know something they don’t seem to be aware of. Each and every day consumers are bombarded with between 3,000 and 20,000 ad and brand exposures. That’s an incredible amount, all vying for eyes. In 2006 it was estimated to be around 5,000, on average. That was before Facebook and Twitter commanded spots on the stage. Most of these ads remain ignored. 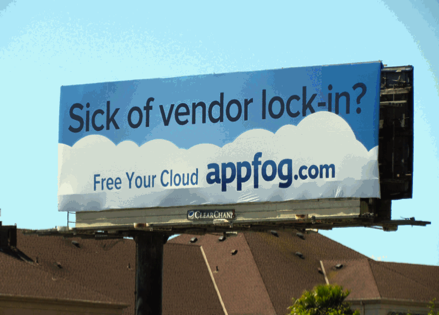 Can you remember all the billboards you came across on your way into work? Can you remember any of them? The few that you may remember likely won’t prompt you to buy a certain kind of toothpaste or software or frozen dinner. There’s in fact a very real reason we don’t remember any of these ads: we’re subconsciously trained to recognize an ad—and to ignore it. We’re saturated and have become comfortably numb to all the advertising around us. We know all of this though. We know there’s a better way. We know there’s a way to create a deep emotional connection with people who could best benefit from our work. It’s a way that will encourage them to organically share our cause and embrace our message—and it’s through storytelling. Not the catchphrase “storytelling” but real storytelling. The problem is that your boss doesn’t buy it, at least not yet. How do you convince your boss of the importance of story? How do you convince them of story’s ability to champion your message stronger than any statistic or list of features could? How do you let them know that story is the most powerful card up any marketer’s sleeve? As a hook, those ad figures we cited above are a solid place to start since your boss is likely a numbers person. Lead with a strong hook then pitch the importance of story through—what else? Story. Share the story of a time when a story knocked the numbers out of the park—when harnessing the power of story meant exceeding goals for returns three times over. 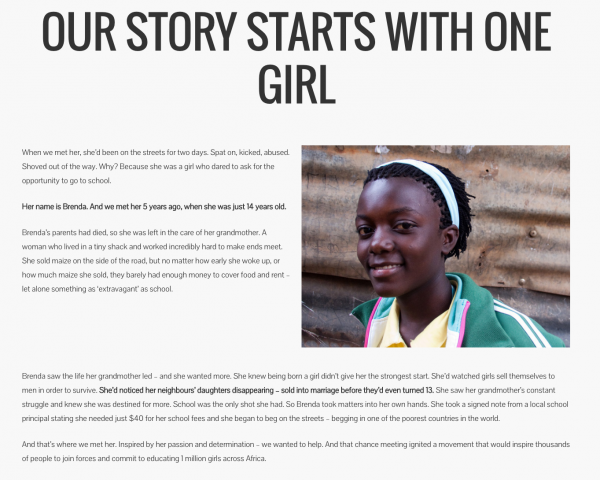 In other words, share the story of Project: One Girl Uganda. In 2015, Stillmotion partnered with the Australia-based nonprofit One Girl, an organization that works to better the lives of school-age girls in some of the poorest African countries. For the collaboration, we used our Muse storytelling process to craft two stories to promote two of their initiatives: Graduation and Do It In A Dress. One Girl has an admirable yet lofty goal of educating a million girls in Africa. In 2015, they were making strides but still had a long way to go in trying to meet that goal. Seeing an uptick in donations is no easy feat. In fact, a fundraising consultant that One Girl had hired advised them that after creating a video campaign, the organization could expect only a 10% increase in donations after a year. While any increase in donations would mean a better life for that many more girls, these were not the kind of results they wanted—that they needed—to make the kind of impact necessary to educate one million girls. They needed something more. The commitment One Girl is asking people to make isn’t a small one. The organization is asking donors to commit to giving $25 a month for at least three years, which is what it takes to support a girl until she graduates. We put together a storytelling workshop designed to teach the staff of One Girl the Muse storytelling process. We would work with them to create a film for the Graduation initiative, as well as work with other volunteer filmmakers on create a film for their Do It In A Dress campaign. For the Graduation initiative, we told the story of Musisi, a father of four girls who toiled making bricks from mud and made sacrifices every day in order to send each one of his daughters to school. He understood the power of education to lift his family, and was completely dedicated to making this difference in the lives of his children. The incredible story created results that exceeded expectations. A 50% increase in monthly giving—IN JUST TWO MONTHS. One Girl generated more than 45,000 organic shares on Facebook (a 350% increase from previous years) and a 20% increase in campaign income for Do It In A Dress, year over year. The folks at One Girl described these results as unheard of for their industry, a tremendous testimonial to the power of story. In less than a week, the video had more than 9 million views. Since its debut, it’s been watched more than 20 million times providing the company with worldwide visibility. As the marketplace for many brands begins to expand beyond national borders, and more companies begin to sell to a worldwide audience, this ability to go viral can pay huge dividends for years in global brand recognition. 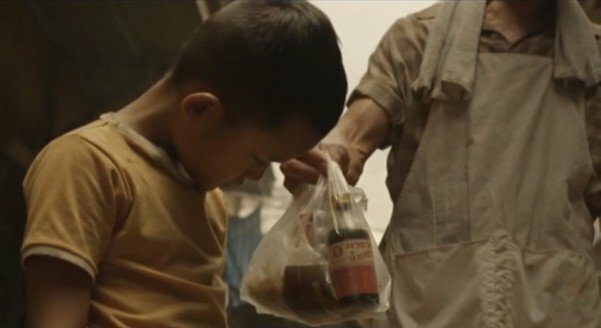 Achieving virality on this kind of scale is only possible with a truly moving story that leverages emotion, conflict, and a powerful positive message. In a crowded marketplace where your message may have a lot of competition, a well-told story is the tremendous differentiator. Each person’s story is unique, so make certain to leverage that. Move people—tap into their one great desire. Stir them to action. Let them know the why behind your message, your products that help people, your services that make the world a better place—and share that to stand out from the whir and blur of constant ads. Use story to create an emotional connection and foster relationships with your audiences that encourage loyalty and develop natural ambassadors to help spread the good word of the great work we do. Over the coming weeks and months, we’re going to be publishing many more posts on the effectiveness of storytelling, tips for telling great stories, and analysis of the really good and not-so-good storytelling out there in the world. If you need more help convincing your higher-ups to stop wasting money on tactics that don’t really work to raise your marketing profile, we’ll have many more resources for you.